You have been tasked with testing a CAT5e cable. A summary of the test results can be found on the screen. Step 2: Interpret the test results and select the option that explains the results. 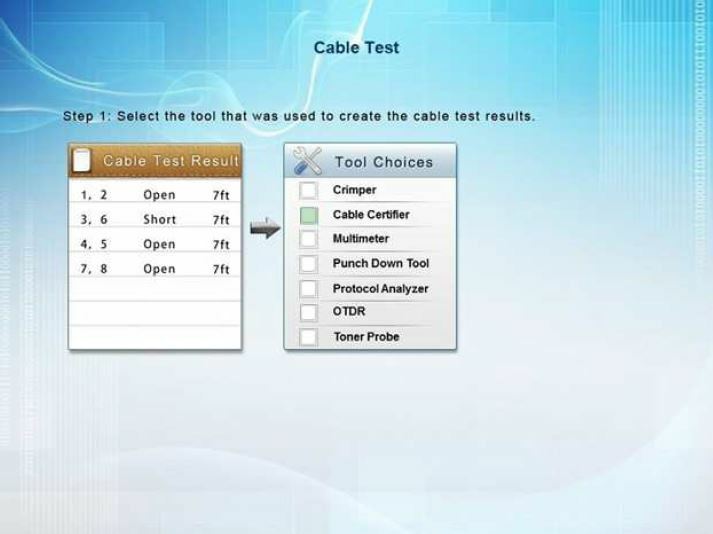 After you are done with your analysis, click the ‘Submit Cable Test Analysis’ button. 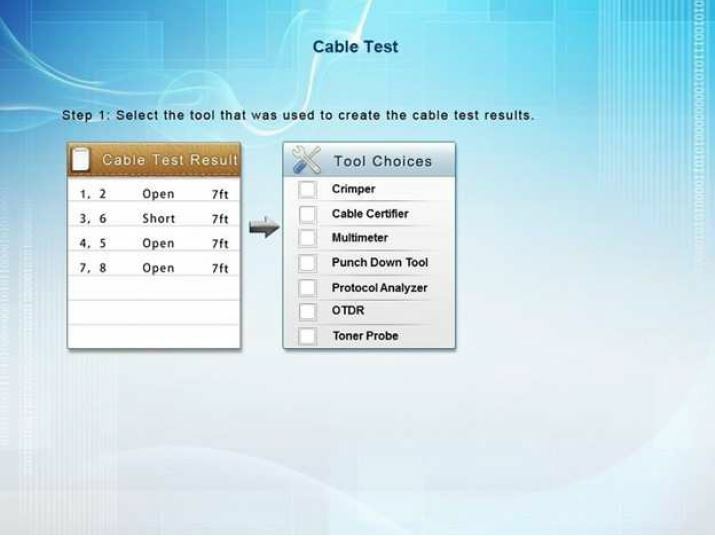 A Cable Certifier provides “Pass” or “Fail” information in accordance with industry standards but can also show detailed information when a “Fail” occurs. This includes shorts, the wire pairs involved and the distance to the short. 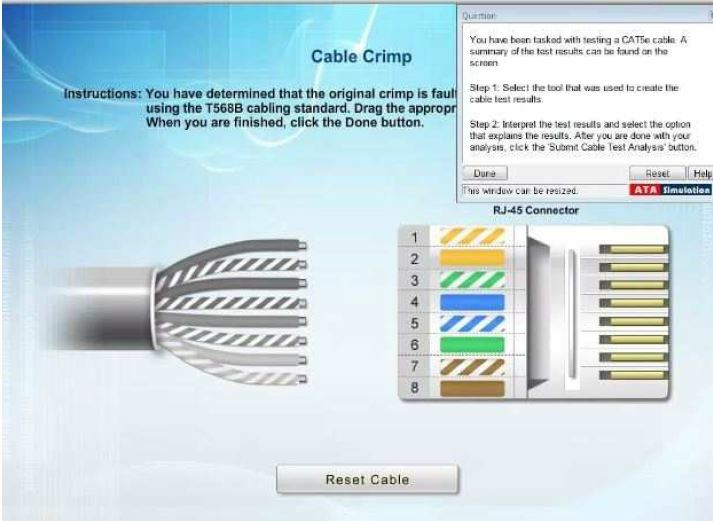 When a short is identified, at the full length of the cable it means the cable has not been crimped correctly.